Picking The Poison: The Story Of Forensic Medicine At the start of the 20th century, poisoning was one of the easiest crimes to get away with. Until, that is, Dr. Charles Norris developed an early form of forensic medicine. Author Deborah Blum's new book, The Poisoner's Handbook, follows New York's first trained chief medical examiner as he solves a series of sensational cases. "Arsenic, as it turns out, is fairly tasteless, and if you give it at just the right dose ... you can actually make it mimic a gastrointestinal illness," Blum tells NPR's Guy Raz. There were, of course, other options — morphine, mercury, carbon monoxide — all virtually undetectable because science didn't know how to find it in the body. But that all changed, Blum says, when two scientists took it upon themselves to "elevate forensic chemistry into a formidable science." Blum's new book, The Poisoner's Handbook: Murder and the Birth of Forensic Medicine in Jazz Age New York, follows two trailblazers of science — Charles Norris, New York City's first chief medical examiner, and Alexander Gettler, the father of American forensic toxicology — through the criminal investigations that helped develop the practice of forensic medicine. Blum says Norris — a pathologist by training — believed that there could be no good criminal justice unless it marched hand in hand with good science. So Norris and Gettler worked tirelessly to develop the forensic tools they needed for individual criminal investigations. "Sometimes they would literally start a prosecution without knowing how to find the poison," Blum says, "and they would be running these tests during the trial so that they would have the results at the end of the trial." One such investigation involved a group that came to be known as the Radium Girls. During World War I, it was discovered that you could make watch faces glow in the dark by mixing radium into the paint used on the dials. What no one knew at the time was that radium was a highly radioactive element. The Radium Girls were the young women who worked in factories painting those very watch dials. But the girls had no reason to think the paint was dangerous, so they got in the habit of wetting the paint brushes in their mouths to get a sharp point. 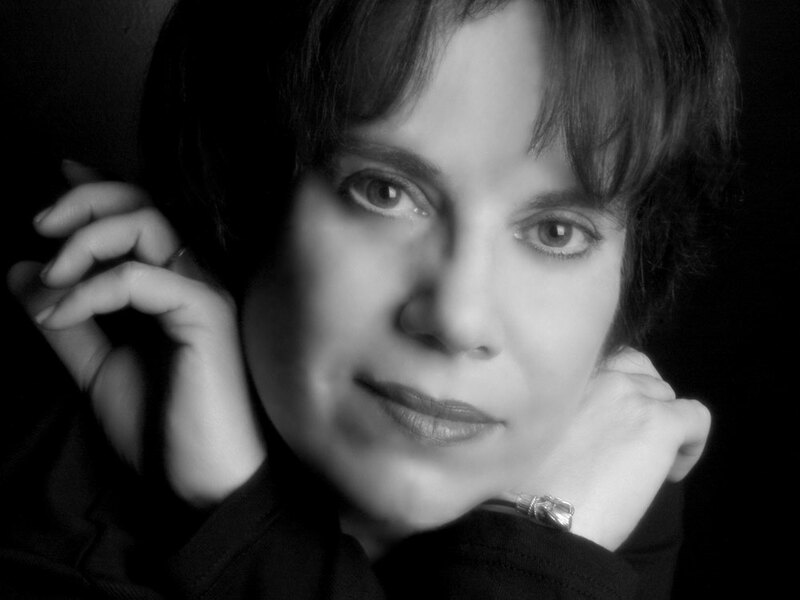 Deborah Blum has written about science for The New York Times, The Washington Post, Mother Jones and Rolling Stone. She has also written a number of books that explore the intersection of science and society, including Love at Goon Park and Ghost Hunters. "What happened was that after a couple of years, they started dying in these bizarre, mysterious, horrible ways," Blum says. "Their jaws literally crumbled. Their bones broke underneath them." Eventually, Norris and Gettler were called in to investigate. "They were asked to look at one of these young watch painters who had been buried for five or six years, and they brought her body up and took pieces of her bones and wrapped them in photographic paper, and were able to show that even after five years, these bones were just hissing out radiation," Blum says. The tests Gettler developed for his Radium Girls investigation were published in a study that demonstrated the danger of radium exposure for human beings. Blum says the field of forensic investigation owes an incredible debt to the work of these two scientists. "Gettler and Norris were part of a movement born in New York City to make forensics a respectable science — one in which scientists were specifically trained," Blum says. "They lobbied nationwide to make the criminal justice system believe that science was an important part of the mix." Until the early nineteenth century few tools existed to detect a toxic substance in a corpse. Sometimes investigators deduced poison from the violent sickness that preceded death, or built a case by feeding animals a victim's last meal, but more often than not poisoners walked free. As a result murder by poison flourished. It became so common in eliminating perceived difficulties, such as a wealthy parent who stayed alive too long, that the French nicknamed the metallic element arsenic poudre de succession, the inheritance powder. The chemical revolution of the 1800s changed the relative ease of such killings. Scientists learned to isolate and identify the basic elements and the chemical compounds that define life on Earth, gradually building a catalog, The Periodic Table of the Elements. In 1804, the elements palladium, cerium, iridium, osmium, and rhodium were discovered; potassium and sodium were isolated in 1807; barium, calcium, magnesium, and strontium in 1808; chlorine in 1810. Once researchers understood individual elements they went on to study them in combination, examining how elements bonded to create exotic compounds and familiar substances, such as the sodiumchlorine combination that creates basic table salt (NaCl). The pioneering scientists who worked in elemental chemistry weren't thinking about poisons in particular. But others were. In 1814, in the midst of this blaze of discovery, the Spanish chemist Mathieu Orfila published a treatise on poisons and their detection, the first book of its kind. Orfila suspected that metallic poisons like arsenic might be the easiest to detect in the body's tissues and pushed his research in that direction. By the late 1830s the first test for isolating arsenic had been developed. Within a decade more reliable tests had been devised and were being used successfully in criminal prosecutions. But the very science that made it possible to identify the old poisons, like arsenic, also made available a lethal array of new ones. Morphine was isolated in 1804, the same year that palladium was discovered. In 1819 strychnine was extracted from the seeds of the Asian vomit button tree (Strychnos nux vomica). The lethal compound coniine was isolated from hemlock the same year. Chemists neatly extracted nicotine from tobacco leaves in 1828. Aconitine — described by one toxicologist as "in its pure state, perhaps the most potent poison known" — was found in the beautifully flowering monkshood plant in 1832. And although researchers had learned to isolate these alkaloids — organic (carbon- based) compounds with some nitrogen mixed in — they had no idea how to find such poisons in human tissue. Orfila himself, conducting one failed attempt after another, worried that it was an impossible task. One exasperated French prosecutor, during a mid-nineteenth-century trial involving a morphine murder, exclaimed: "Henceforth let us tell would be poisoners; do not use metallic poisons for they leave traces. Use plant poisons . . . Fear nothing; your crime will go unpunished. There is no corpus delecti [physical evidence] for it cannot be found." So began a deadly cat and mouse game — scientists and poisoners as intellectual adversaries. A gun may be fired in a flash of anger, a rock carelessly hurled, a shovel swung in sudden fury, but a homicidal poisoning requires a calculating intelligence. Unsurprisingly, then, when metallic poisons, such as arsenic, became detectable in bodies, informed killers turned away from them. A survey of poison prosecutions in Britain found that, by the mid- nineteenth century, arsenic killings were decreasing. The trickier plant alkaloids were by then more popular among murderers. In response, scientists increased their efforts to capture alkaloids in human tissue. Finally, in 1860, a reclusive and single-minded French chemist, Jean Servais Stas, figured out how to isolate nicotine, an alkaloid of the tobacco plant, from a corpse. Other plant poisons soon became more accessible and chemists were able to offer new assistance to criminal investigations. The field of toxicology was becoming something to be reckoned with, especially in Europe. The knowledge, and the scientific determination, spread across the Atlantic to the United States. The 1896 book Medical Jurisprudence, Forensic Medicine and Toxicology, cowritten by a New York research chemist and a law professor, documented the still-fierce competition between scientists and killers. In one remarkable case in New York, a physician had killed his wife with morphine and then put belladonna drops into her eyes to counter the telltale contraction of her pupils. He was convicted only after Columbia University chemist Rudolph Witthaus, one of the authors of the 1896 text, demonstrated the process to the jury by killing a cat in the courtroom using the same gruesome technique. There was as much showmanship as science, Witthaus admitted; toxicology remained a primitive field of research filled with "questions still unanswerable." 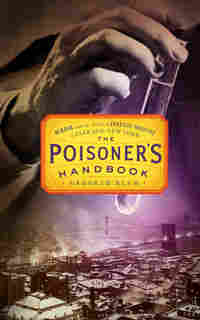 Excerpted from Poisoner's Handbook: Murder and the Birth of Forensic Medicine in Jazz Age New York, by Deborah Blum. Reprinted by arrangement with The Penguin Press, a member of Penguin Group (USA), Inc. Copyright February, 2010.